A 6 year boy was seen in the clinic with the chief complaint of seizure since 8 months of age. During the attack, the right side of the body goes into spasm with clenching of teeth and watery eyes. MRI revealed multiple foci of subcortical increased signal in both hemisphere. The boy had received head injury at 3 months of age. Unable to speak-can utter words only but understanding is good. Generals: Appetite: Good, Desire: rice and potato, Aversion: Sour, Ketchup, Bowel: Regular, Sleep: Sound, keeps pen in mouth. Hyperactive and highly aggressive by nature. Loves music and dance. Restless. Cannot sit in one place. Always likes to play. He always wants to close the door as if fear of strangers coming in the house. Destructive by nature. Hit the other children very much. He always something in his hand. Clinging. Fear of noise and darkness. After homeopathic medicine was given aggressiveness was much decreased and started uttering more words. After couple of follow ups with desired medicine accordingly, the understanding improved remarkably and voice became more clear and was able to speak full sentences. 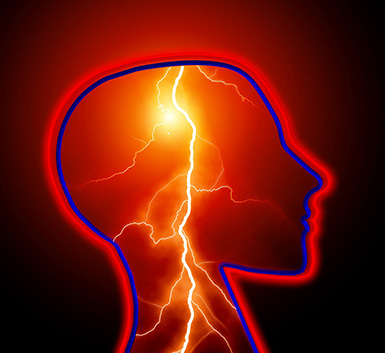 No incidence of seizures were reported since the treatment was started. Doing great work in class and gets certificates for good work..